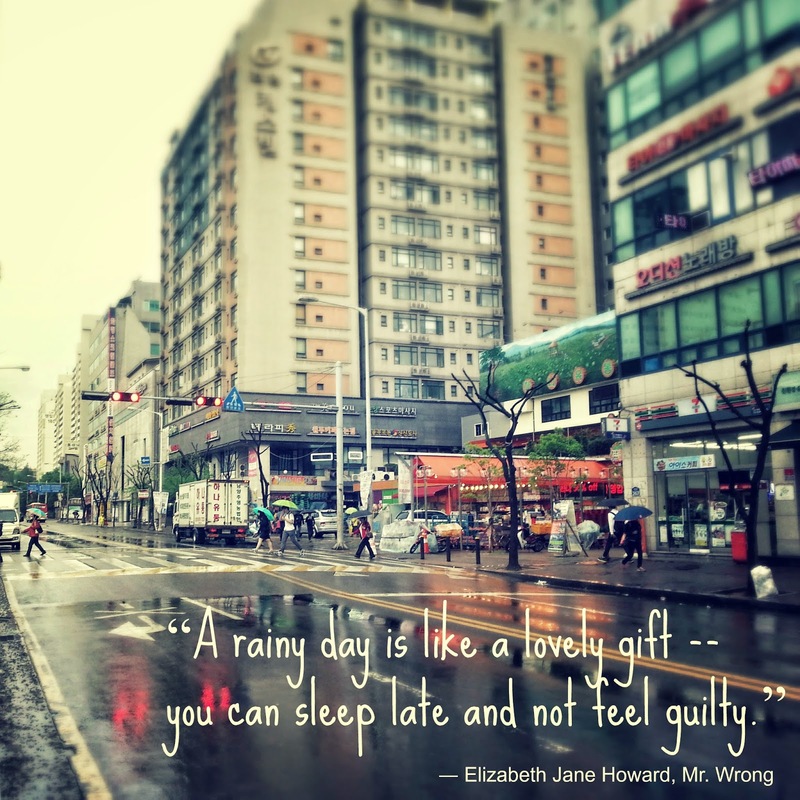 Rainy days - Experience It! Indeed! Rainy days are days to be enjoyed in many ways and one of my favorite ways to spend it is to stay in bed, having some hot coffee or wine and just listening to the rain at the window and watching a good movie with someone. It's a day that you can use to relax and recharge yourself. One where there is no shame in staying in your pajamas almost all day. Other people love being in the rain. They romanticise walking with a lover under one umbrella. When the wind blows the umbrella away they can stand in the middle of an abandoned street and kiss in the rain. Like the scene from a romantic movie. Whatever you choose. Enjoy your rainy day indoors or outdoors.